Moleskine is a name to be reckoned with. Its paper notebooks have been used by writers, poets and artists for years, and it's a brand that has a dedicated following. Now, having previously worked with Adobe to blur the boundaries between digital and analog writing and drawing, Moleskine has once again joined forced with the Photoshop-maker. The outcome of this latest partnership is the Moleskine Paper Tablet Creative Cloud Connected edition, a smart notebook that works with Adobe Illustrator in conjunction with the Moleskine Pen+ Ellipse optical pen. The idea is a simple one; in theory, at least. It's something that has been attempted before by other companies, with varying degrees of success. While many artists are comfortable working digitally, it is difficult to replace the feel of a traditional pen and paper combo. To address this, Moleskine and Adobe came up with a system that lets you draw in a paper notebook with an ink pen, and the design is automatically transferred to Illustrator. Moleskine is announcing the launch of the Moleskine Paper Tablet -- Creative Cloud Connected edition -- a smart notebook that is designed to work with Adobe Illustrator and takes things to the next level. 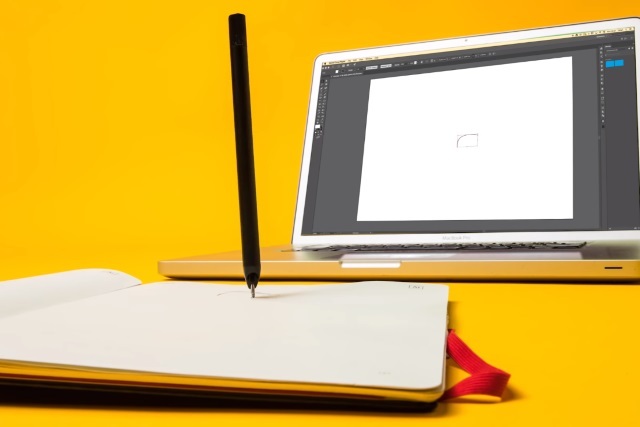 The new notebook, combined with Moleskine Pen+ Ellipse optical pen, lets you seamlessly mirror free-hand drawings with pen and paper to Adobe Illustrator in real time. This reimagined workflow transforms this creative process into a few simple steps and offers the most seamless analog-to- digital experience to date. Icons printed on each sheet of the new notebook trigger actions in Illustrator. Tap the "Creative Cloud" icon with your Moleskine Pen+ to save your file. Tap the "Illustrator" icon to pause mirroring so you can jot down a note, and tap again to restart mirroring. The new Creative Cloud Connected vector art sketching system is great for bringing a hand-drawn organic aesthetic to your designs. You can use the Pen+ to create organic doodles that can make wild swatches and symbols to use in your Creative Cloud library. You can pick up an Adobe Creative Cloud Connected Paper Tablet for $34.95, and a Moleskine Pen+ Ellipse for $179 from the Moleskine store.